Hello friends! Monsoons are almost over and it's time to start your explorations again, what with nature now at it's full bloom. There are lot of places which are naturally beautiful and attract a great number of people. 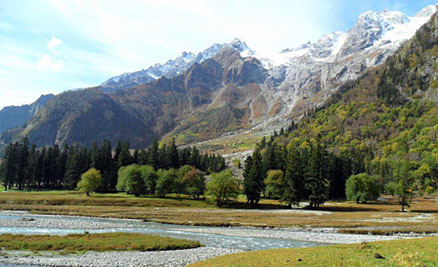 However, Himachal Pradesh stands out for the natural beauty it beholds. 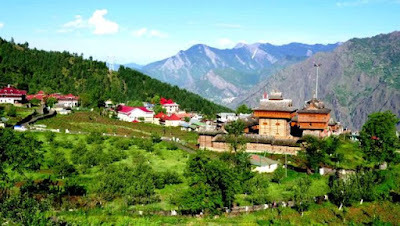 There are any number of places in Himachal where you can go to enjoy a peaceful time in the lap of nature. 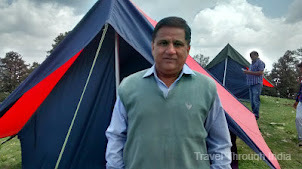 However, there are only a few places which offer you peace along with pilgrimage, adventure, amazing natural beauty and a tryst with countryside, all at the same place. 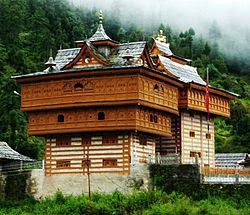 One such place in Himachal Pradesh is Sarahan. 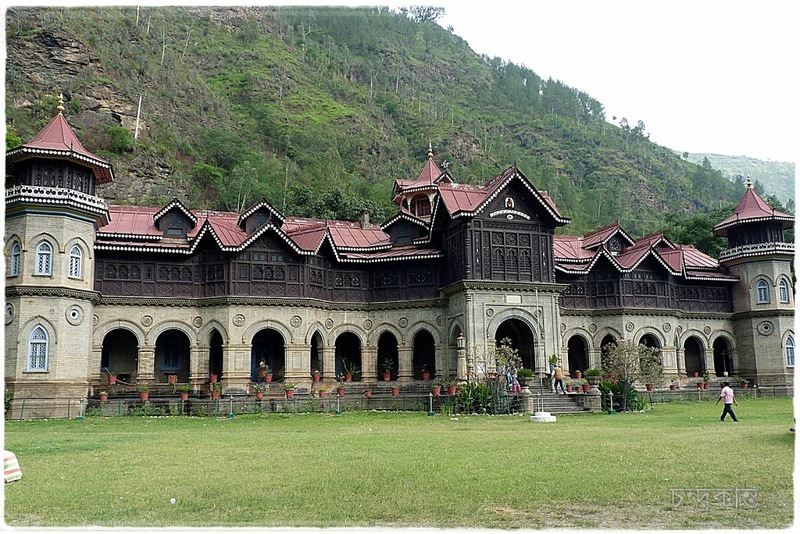 Sarahan, a beautiful small hamlet is located in the Shimla district. Situated at an altitude of 2165 m(7200 ft), it flanks the bank of river Sutlej. The road leading to Sarahan runs through flowered pine trees which give way to Oaks as you drive further up. While Sarahan has Sutlej river on one side, on other side is the snow covered Shrikhand peak. 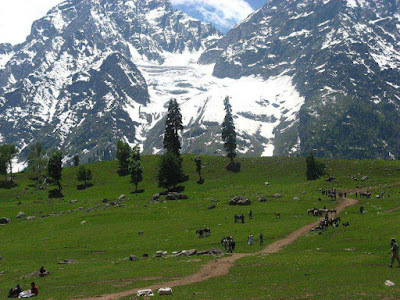 Shrikhand peak is peculiar in that it is the only one whose tip is not covered by snow. Many small streams flow past the place. It is surrounded by fields and orchards and along with the slate roofed houses make Sarahan, a picture perfect place. You can see rows of Deodar trees sloping down on the hills above. Further up, hills have many varieties of wild flowers and rare medicinal herbs. Sarahan, described as Gateway to Kinnaur, has a landscape which has unparalleled beauty. BHIMAKALI TEMPLE is the biggest attraction in Sarahan, their own version of Maa Kali. Considered as one of the Shaktipeeths, this is a pilgrimage site. The temple is said to be 800 years old and has a blend of Indian as well as Buddhist architecture in it's design and has both Hindu and Vajrayana Buddhist statues. The temple has two towers and three complexes dedicated to Lord Raghunathji, Patal Bhairavji and Narsinggji. Devi Kali is the principal deity and has a separate shrine dedicated to her. Built with stones and woods, with intricate carvings on the inside. During the festival of Dussehara, people from all areas around it visit the temple to pay their obeisance and Goddess is offered prayers and animal sacrifices. Another place to visit in Sarahan is BIRD PARK. Located close to Bhimakali temple, this park is the house of the state bird Jujurana. There are many other local birds, which can be seen here. It is a breeding center also so it is closed during summers due to breeding season. BHABHA VALLEY is another stunningly beautiful place near Sarahan. Located 50 km (31 mi) from Sarahan, Bhabha Valley runs parallel to Bhabha river. A beautiful landscape, alpine meadows and a reservoir lake adorn this valley. Bhabha Valley is also the starting point of trek to Pin Valley in Spiti. This is a must visit place for everyone visiting Sarahan. JEORI is a place with a warm water spring. Located 20 km (12.5 mi) from Sarahan, this is a relaxing place. It has dedicated bathing areas where you can enjoy the warm water bath. Locals believe that the spring water has medicinal properties. BUSHAHR PALACE, located next to Bhimakali temple, was the summer abode of Bushahr king as Sarahan used to be their summer capital. The general public is allowed only to visit the garden and orchard at the palace. Access to inner side of the palace is not allowed. 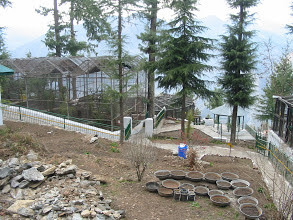 HAWA GHAR, which is 2 km(1.25 mi) uphill of Sarahan is another place to visit to experience peace and nature. It is a small quiet sitting area, built for people to enjoy the view of peaks and valleys around the place. It offers exotic view of the surrounding natural treasure. Sarahan is soaked in natural beauty, what with river Sutlej on one side and snow covered peaks on the other. Another side has the sloping pine forests and deep ravines. AIR - The nearest airport is at Shimla, which is 182 km(112 mi) away. You can get state run buses from here or hire cabs to reach Sarahan. RAIL - The nearest railway station is again at Shimla, which is on narrow gauge and is connected to Kalka, which is a major rail station. Kalka is connected to all the major cities of India. 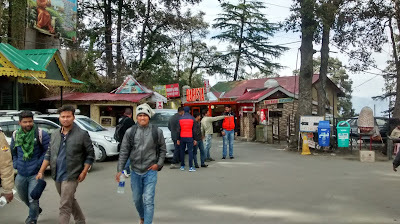 ROAD - Sarahan is well connected to all the major cities of Himachal Pradesh by road. You can get state run buses or cabs to reach here. You can also get buses and cabs from major cities like Delhi and Chandigarh to reach Sarahan. STAYING IN SARAHAN - There is state run hotel Shrikhand, which is near to Bhimakali temple. The temple also offers place to stay and vegetable food. Apart from this, there are few more hotels in and around Sarahan. Best time to visit Sarahan is April to June and September to November. It receives snofall during December and January. So if you are a snow enthusiast, you can plan for these months also. So if you are looking for a peaceful, tranquil place where you can soak in nature's beauty, head straight for Sarahan.